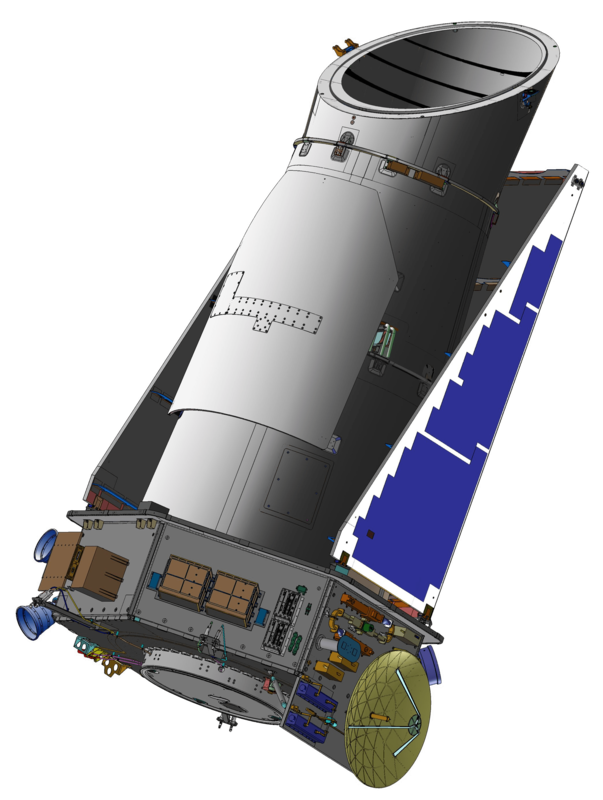 Kepler Space Telescope (Credits: NASA). NASA’s Kepler space telescope got back into the action, after a 10 day rest, on January 29. Kepler, named in honor of the 17th-century German astronomer Johannes Kepler, was launched on 7 March 2009. The telescope is now 72 million kilometers away from Earth, and has been hunting for planets since its launch. The spacecraft had been equipped with four reaction wheels — three for immediate use, and one spare – but one of its reaction wheel (wheel #2) failed in July 2012, meaning that failure in one more reaction wheel could end the $600 million Kepler mission. In early January, the Kepler team detected a rise in the amount of torque required to spin one of the three remaining reaction wheels. Increased friction over a prolonged time can wear down a reaction wheel and even lead to wheel failure. Following the detection of increased friction wheel #4, the Kelper team placed the spacecraft in a “wheel rest” safe mode for a period of 10 days. During this period scientific data collection was stopped and Kepler’s solar panels were aligned with the sun. To maintain attitude, thrusters were used in place of the resting reaction wheels. The team confirmed that Kepler is currently back in action, but it will take some time to confirm whether the problem is solved or not. 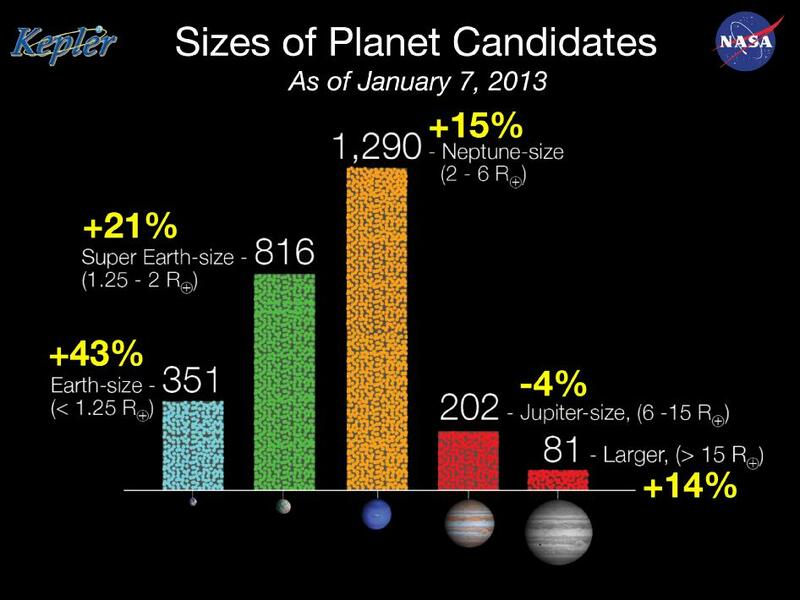 Size of Kepler Planet Candidates: As of the latest Kepler catalog entry, the number of candidates discovered totals 2,740 potential planets orbiting 2,036 stars (Credits: NASA). “Over the next month, the engineering team will review the performance of reaction wheel #4 before, during and after the safe mode to determine the efficacy of the rest operation,” Hunter wrote. Kepler has been active for more than 3 years and 10 months, and has detected more than 2700 exoplanet candidates since its launch.